Ryan Trecartin conceives his exhibitions as akin to theatre productions: the actual art work is the show, his sculptures exist as props, memorabilia, or spin-offs representing their contributions to the event. His figures mill about the gallery as potential viewers, a motley crew of freaks and wierdos, an exaggerated and humorous cross-section of society-as-it-is. 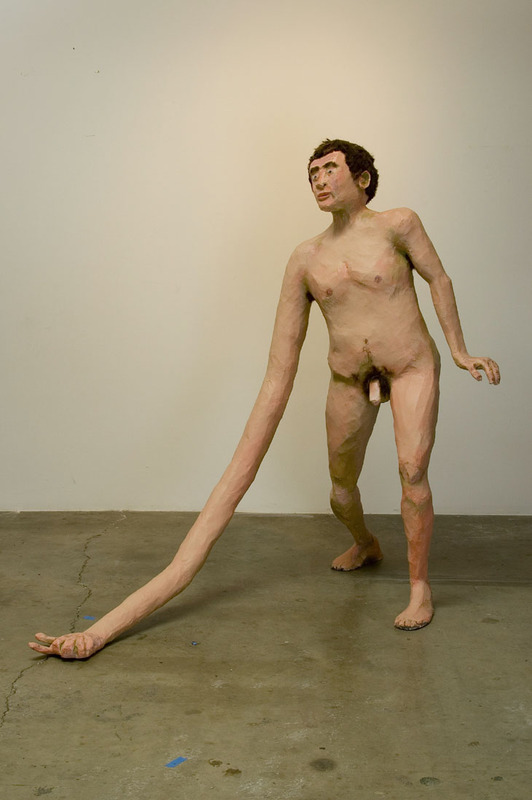 Made for his I Smell Pregnant show, Abraham With the Long Arm is the resident jerk. Giving lampoon portrayal of the prototypical “afro white guy”, he’s all reachy-gropy gross, a genetic aberration bred for lechery.